Poll: Where was your first caravanning holiday? Cast your mind back to when you bought your first caravan…You’ve worked out how to hitch up, you’ve bought the necessary accessories, but where did you choose to go on your first caravanning holiday? Did you choose to stay close to home in case of any problems, or go on a long road trip to maximise that feeling of freedom. Maybe you even ventured across the waters to a British Isle or even into Europe…? Vote in our latest community poll as we aim to find out the most popular first caravanning holiday destination. We’ve started off by listing areas, counties and countries but please feel free to be more specific about your first caravanning holiday destination by simply adding it to the “Other” box or see if anyone else has listed it and choose that as an option; or alternatively share it with everyone in the comments section below. 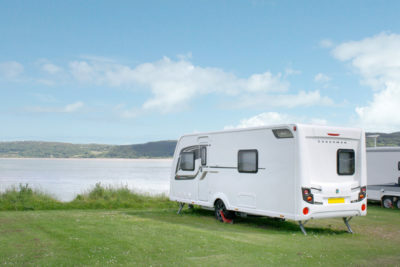 Where was your first caravanning holiday? Sorry if we’ve missed your chosen first destination off the list! We’d also love to hear any of your stories about how your first caravanning holiday went by sharing them in the comments box below. You might even inspire a new caravanner to choose this for their first trip away in their ‘van! And we’d love to see any photos from your first trip away on our Facebook or Twitter pages. We’ll report back the poll results in July. shakedown of new Mardon 111A an 11foot caravan bought new to replace tent as wife Dorothy was pregnant with first child. Child now 42 and has his own van and two children. Great to hear your love of caravanning has been passed on through the generations Richard. Dad’s 91st birthday weekend joining with family in South Wales. Wow, what a great way to celebrate a birthday. Caravanning really is for all ages. Sounds like a fabulous trip Stephen. Thanks for sharing. Only about an hour away from home. Just in case!! Robin Caravan – Very small, but it was brilliant for two adults and two toddlers.